UPDATE 2018/03/08: We are today pushing a new bugfix release that addresses a collection of issues that were missed during the playtesting phase of release-20180218. Fixed an issue that could cause excessive debug log file sizes. Fixed a compatibility issue with mono 5.10 and newer. Increased the minimum required mono version to 4.2 (fixing the "Failed to query server list" issue). Fixed Windows build scripts to account for GitHub API changes. Head on over to our download page to grab the new release, and spread the word! 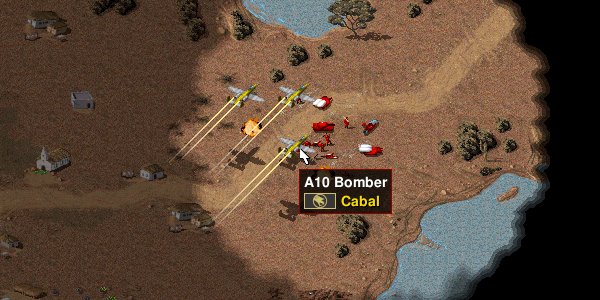 The main focus of this development cycle was modernizing core parts of the engine and game code to support the work-in-progress Tiberian Sun mod and other community projects. Thanks to our contributors, and to everybody who tested the playtest and reported bugs! Please note that changes to the way hotkeys are managed mean you will need to redefine any custom hotkeys in the Input settings. 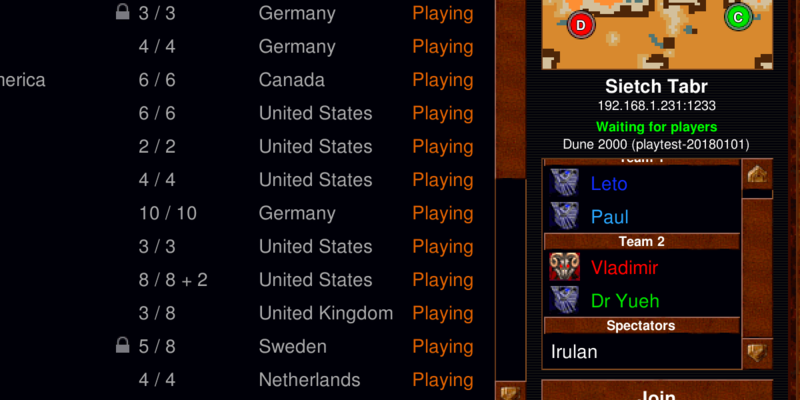 The new server player list is one of several improvements to the multiplayer UI. Improvements to the AI support power targeting mean that this will be a rarer sight. 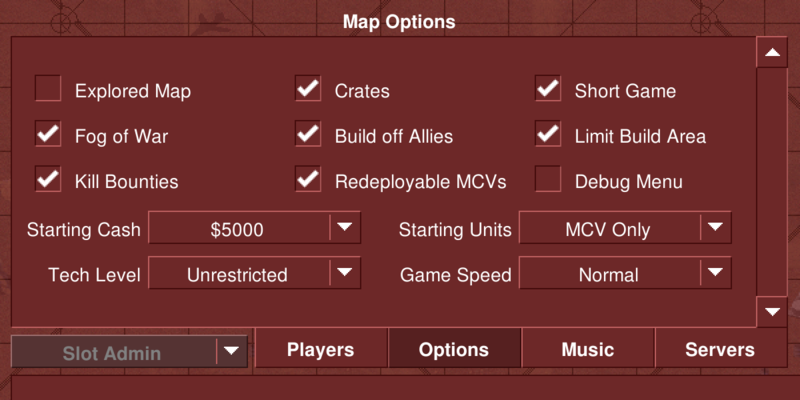 The Map Options tab includes several new settings, and can be customized by scripted maps. 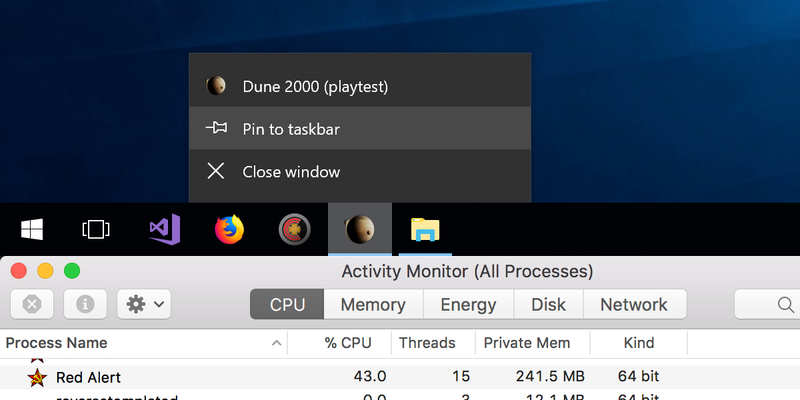 Platform integration fixes include ?Pin to taskbar? support on Windows and 64 bit support for macOS. As always, we suggest you read the full changelog if you?d like more information on the full list of changes. Now download and head to the battlefield! Hey guys, for those wondering why were these old news posted just now, it is due to some bug fixing operations related to the encoding of imported RSS news. Sorry for any inconvenience and hopefully any upcoming news posted on OpenRA's ModDB should be posted here in less than 6 hours. Seems that the news syncing still isn't working? And that specific rss file was not updated with the latest news. We have an internal importer that extract news from https://rss.moddb.com/games/openra/articles/feed/rss.xml and that one worked fine (which is why I've quickly posted the news in the frontpage about the latest Playtest).